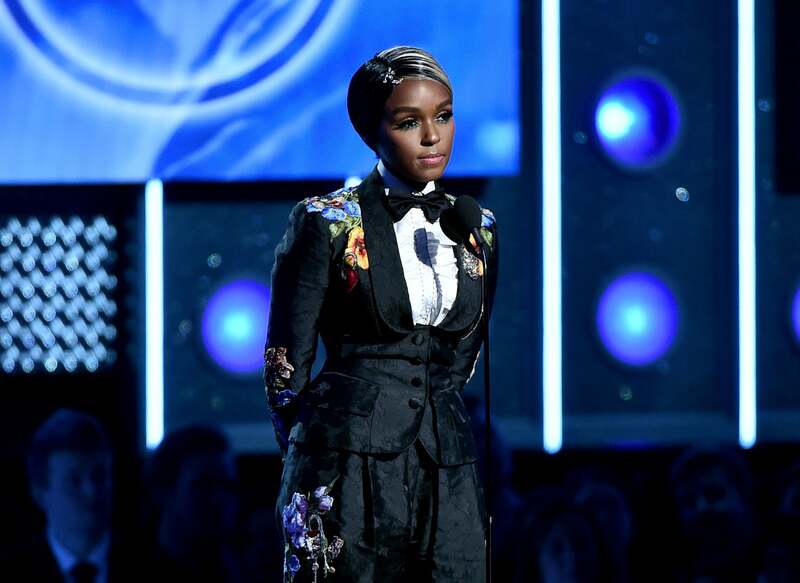 The Time’s Up movement has transcended into the music world and Janelle Monáe led the charge at the 60th Annual Grammy Awards. The “Tightrope” singer spoke on the legal defense fund that assists those affected by sexual assault or harassment before an emotional performance from Kesha. In 2014, Kesha filed a lawsuit against producer Dr. Luke, alleging that he had drugged her and was physically, sexually and mentally abusive — which he denied. As reported by Us Weekly, Sony denied Kesha’s request to be released from her contract in February 2016 and she dropped the lawsuit in August of that year so she could focus on making new music. Other musicians, including Pink and Kelly Clarkson, have since spoken out against Dr. Luke. She closed with a rousing call-to-action for change.